Spring Hill, Tennessee (October 25, 2017) – Utility Equipment Service, Inc. (UES), the industry leader in servicing work and utility trucks throughout the Southeast, announced a new dealership agreement with Builtrite™ Manufacturing (Two Harbors, MN), effective October 25, 2017. UES’s central location, along with its deep understanding of the industrial and construction markets, combined with Builtrite’s industry leading products, provide a partnership that will greatly benefit the customers they serve. Builtrite™ Manufacturing offers three main product lines that are marketed under the Builtrite™ brand. 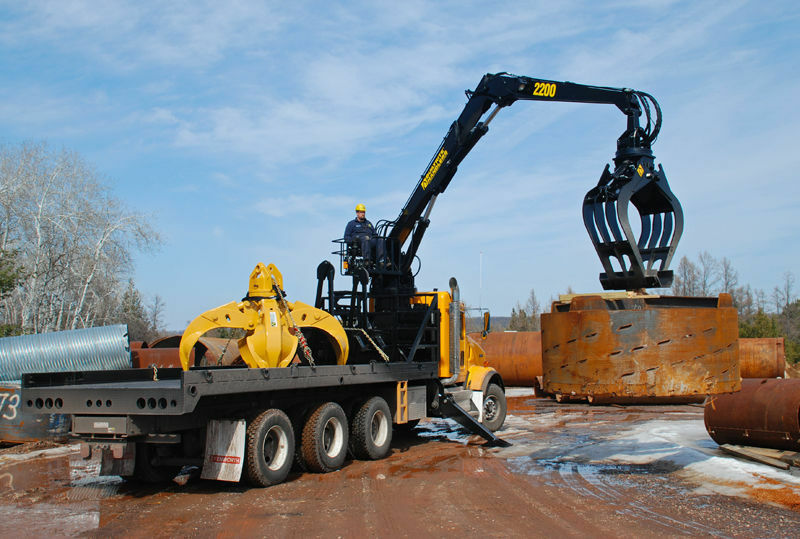 These include a full line of Stationary Electric Material Handlers, Truck Mounted Material Handlers (Knuckleboom Loaders) and a full complement of Attachments for not only their equipment but those of other manufacturers as well. The stationary electric material handlers can be found in a variety of applications, including solid waste handling, material recovery facilities (MRF’s), C & D recycling, scrap handling, wood and wood waste handling and other applications. The truck mounted material handlers excel in variety of applications also, including railroad maintenance, municipal pick-up, tree service, highway & heavy construction, foundation drilling and more. Its attachments are found in all of the above applications, in addition to the auto dismantling industry. All Builtrite product is manufactured in the USA at their plant in Two Harbors, MN. Utility Equipment Service, Inc. has serviced work and utility trucks in the Southeast region since 1981. From new and used equipment sales, to repairing your company’s work truck fleet, UES provides multiple services to help your work and utility vehicles stay on the road and onto the next job. For more information on Utility Equipment Service, Inc., please visit 1ues.com or call 931-489-0900. For more information on Builtrite™ Handlers and Attachments, please visit https://builtrite.com/or call 218-834-5555.